Earlier this summer, the Visual Studio Tools for Apache Cordova moved to an open documentation model to engage developers like you to help create an amazing hybrid mobile app development experience. We believed at that time that Apache Cordova was the future of mobile development, and we believe it now as we continue investing our efforts into transitioning web developers into high-quality mobile app makers. 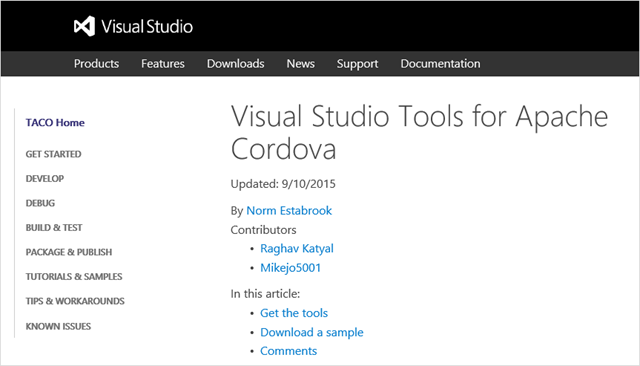 Part of Microsoft’s contribution to the Cordova community is the Visual Studio 2015 Tools for Apache Cordova. To give you the best possible experience with our product, we documented our tools on both the Cordova Docs Github repo, and on the MSDN site. However, having two sources of documentation has quickly become confusing and redundant. Moreover, retaining proprietary control over some documentation ill-matches our commitment to working with the open-source community. With those concerns in mind, we have decided to move all documentation onto one central site, taco.visualstudio.com. Our process takes articles from our GitHub repo (which now contains all MSDN docs) and processes them into a sleek and navigable website. 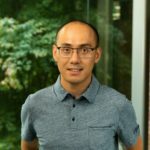 You can access the new site from the URL directly (http://taco.visualstudio.com/), or from the documentation link on the Cordova tools product page. In addition to existing content, the site itself features a new Beginner’s Guide in the Get Started section. This guide takes you from installation to completion of your first app, and hopefully inspires you to start exploring hybrid app development. We hope that you check it out and give us your feedback! Speaking of feedback, each article contains a comments section where you can leave behind thoughts, feedback, questions, etc. If these don’t do it for you, share your feedback directly with the product team via UserVoice, Send-a-smile, Twitter, StackOverflow, or email (vscordovatools-at-microsoft dot com). Check back often for new content and information on our site. Periodically we will be updating the site with new walkthroughs, tutorials, and samples. We hope to make this your one-stop shop for Cordova app development. With new developments being released regularly, soon there will be a huge array of amazing features that can help you build a beautiful mobile app using web technologies. We’re working hard over here, so stay in touch. Linda is new to the Visual Studio Client Tools team, but not new to the trials and tribulations of sad documentation. She spends her time thinking about how to make the VS Cordova user experience really rock!